If you have a 64-bit edition of one of the supported operating systems, it is recommended to install the 64-bit edition of Board Server for better performance, note however that the 64-bit edition of Board Server requires a 64-bit engine Board license. To install Board Server, run the setup program and follow the on-screen instructions. and if not present it will automatically connect to the Microsoft web site and install it. then adjust the services's settings such as the startup type and the service's account (Log-on As property) as desired. 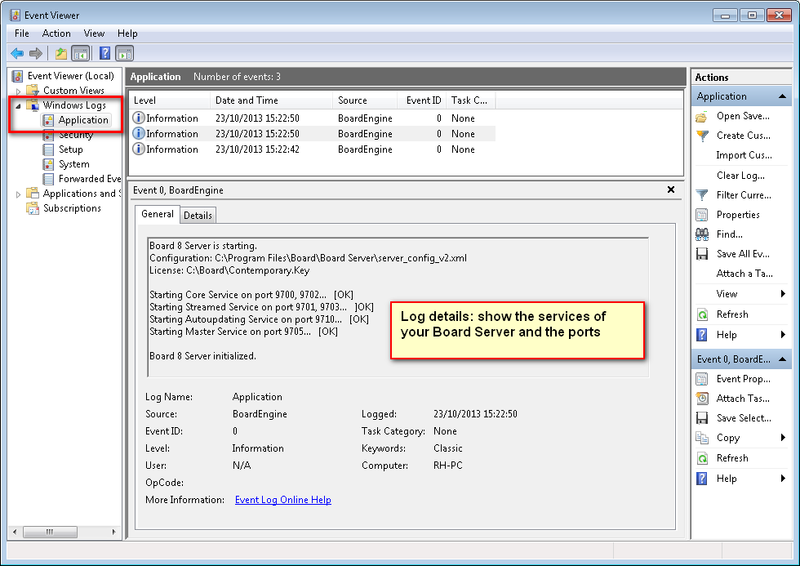 After starting or stopping the Board 8 Engine service you can use Windows Event Viewer to monitor the status of the service. Board Software is compliant to FIPS (Federal Information Processing Standard) publication 140-2 which is a U.S. government computer security standard that defines specifications for the use of encryption and hashing algorithms and how encryption keys are to be generated and safely stored. It is now possible to enable the FIPS security Policy of the Windows server where the Board server is running and the Board databases are stored.